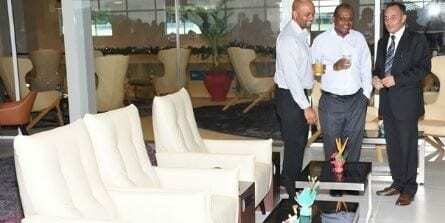 AVANI Seychelles Barbarons Resort and Spa has opened a new lounge at Seychelles International Airport. The CIP (Commercial Important Person) Payanke Lounge, named after the White-tailed Tropicbird, officially opened on December 6. According to David Savy, Chairman of the Seychelles Civil Aviation Authority, on average one million passengers pass through the airport each year on both domestic and international flights. 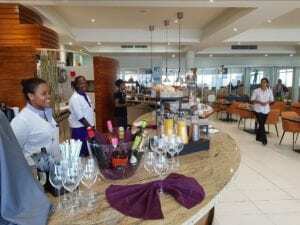 “The demand for this facility is beginning to be felt and the AVANI lounge is among the largest in the airport, giving passengers even more choice in terms of lounges,” said Savy, reports Seychelles News Agency. The CIP Payanke Lounge is one of four at Seychelles International Airport and can accommodate 250 passengers standing and 120 sitting. Located above the current domestic terminal, the CIP Payanke Lounge is open to all travelers, and operated daily from 0600 until 2330 hours. The first phase of the lounge offers a play area for children, showers and a restaurant that serves breakfast, lunch and dinner. Breakfast is served from 0600 until 1000 hours. For lunch and dinner, travelers can choose from an array of salads, as well as cold and hot dishes, with a selection of alcoholic and non-alcoholic beverages are available. Children under the age of five eat free of charge. The second phase will include a spa, which is set to be operational in 2019. GM of AVANI Seychelles Barbarons Resort and Spa, Stephane Vilar, noted that the lounge’s décor was specifically chosen to incorporate various components of the Seychelles. Vilar said: “We contacted local artists through the Seychelles Chamber of Commerce and Industry for products that are on sale in the lounge.” Savy said the renovations, once complete, would completely change the airport, and that the domestic and international terminals would be merged into one.